Whether you’re a history buff in search of Mayan ruins or a sun-seeker looking for sandy beaches and surfing spots, Mexico has it all. 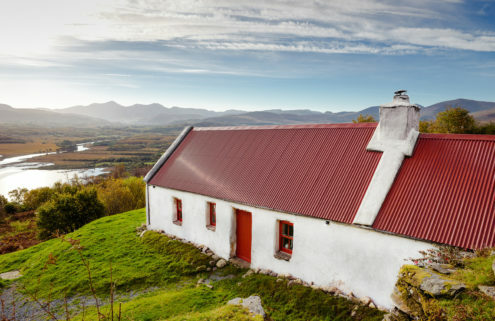 The country is as diverse as it is big, and it’s also home to a cache of top-notch holiday homes designed by emerging local practices and starchitects alike. 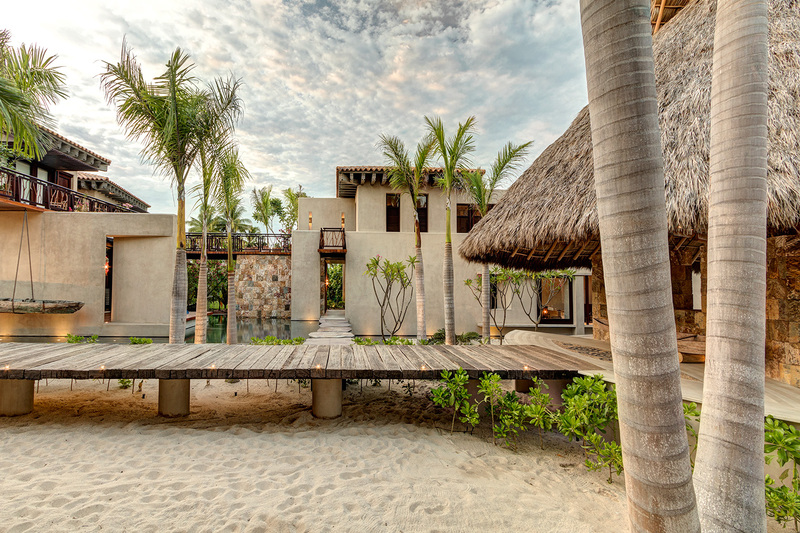 Here are 7 of our favourite holiday homes for rent in Mexico. 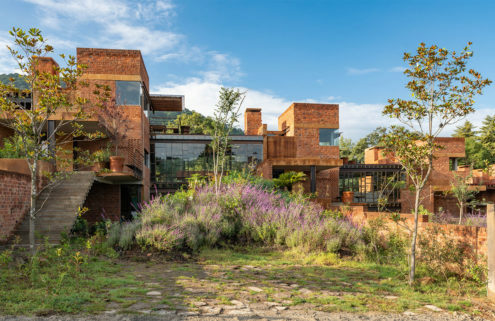 This brick villa in Valle de Bravo is a Mexican take on Frank Lloyd Wright’s modernist principles. 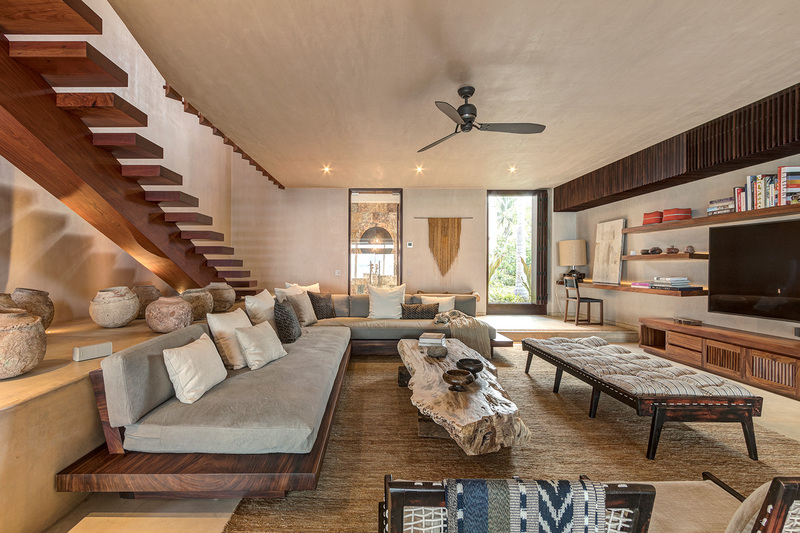 Set across three levels, the five-bedroom home is filled with raw textures and natural materials including marble floors and raftered ceilings. Guests can cool off with a dip in the private pool. 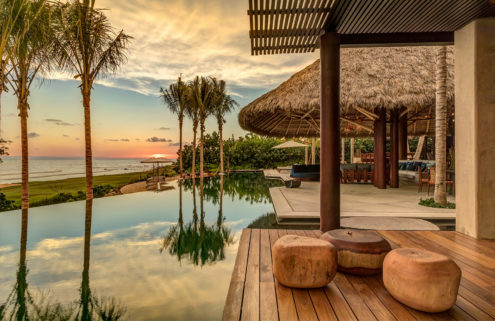 Architects Juan Collignon and Manolo Mestre designed this minimalist beachfront villa in Banderas Bay’s exclusive Punta Mita, which is designed around the Japanese concept of wabi sabi – celebrating the beauty of imperfection. Sleek concrete and solid wood surfaces are juxtaposed by driftwood and antiques inside the nine-bedroom home. Guests can make use of an on-site spa, fitness centre, jacuzzi and infinity pool, or play a round of golf on one of two Jack Nicklaus-designed courses. 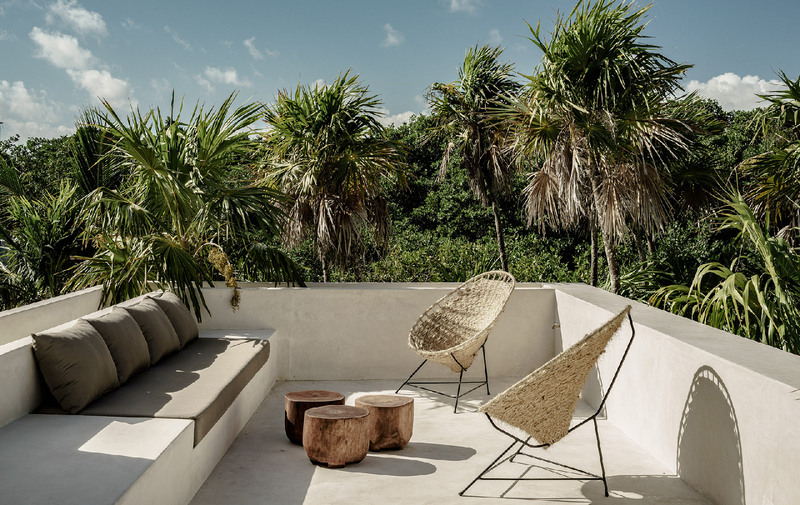 Unfurling across three storeys, Tulum Treehouse is so called because its rooftop lounge is set at canopy level. Local practice Co-Lab Design Office designed the Mexican holiday home in collaboration with Berlin-based designer Annabell Kutucu, who honed its minimalist interiors. 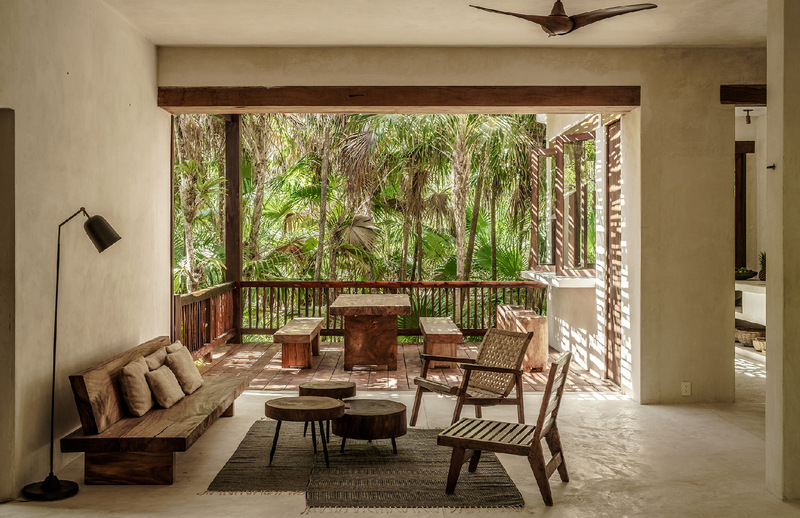 The Yucatán Peninsular retreat can sleep 10 guests and sits at the edge of the Sian Ka’an Biosphere Reserve – rich in plant and animal life, as well as home to Mayan ruins. 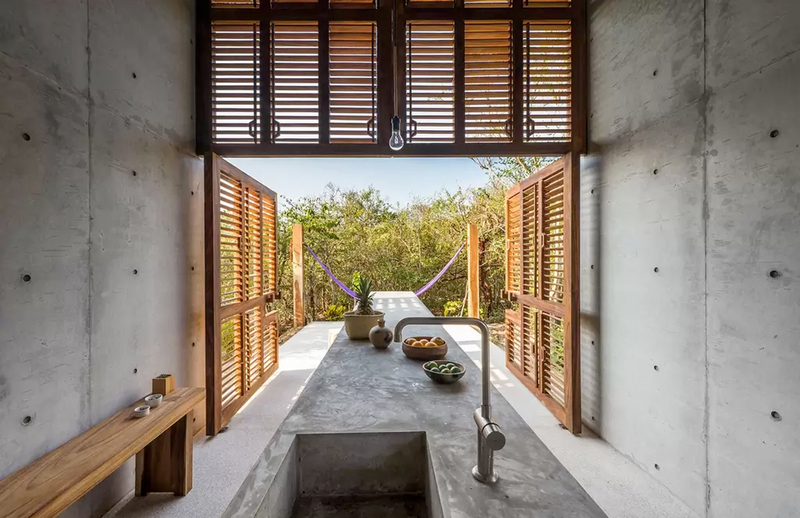 Venture deep into the Mexican jungle to find this forest retreat by Cadaval & Solà-Morales which sits on the slopes of the Tepozteco. The cabin has a simple, single-storey design which features two glass boxes encased in a concrete shell. Sleeping areas fill one side, with a living room and kitchen in the other. 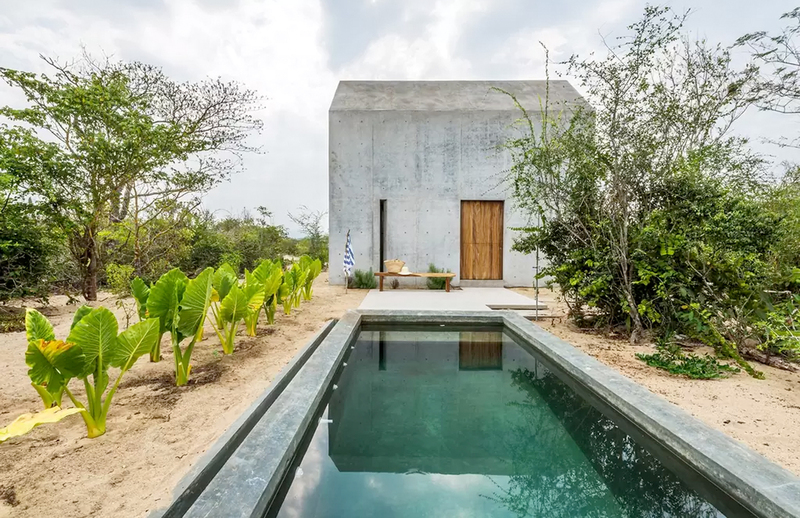 The concrete Casa Tiny sets the bar when it comes to jungle hideaways. Designed by architect Aranza Arino and director Claudio Sodi it’s a contemporary take on Henry David Thoreau’s Walden retreat and has a folding facade that opens up completely to the cabin’s grounds, including a swimming pool. 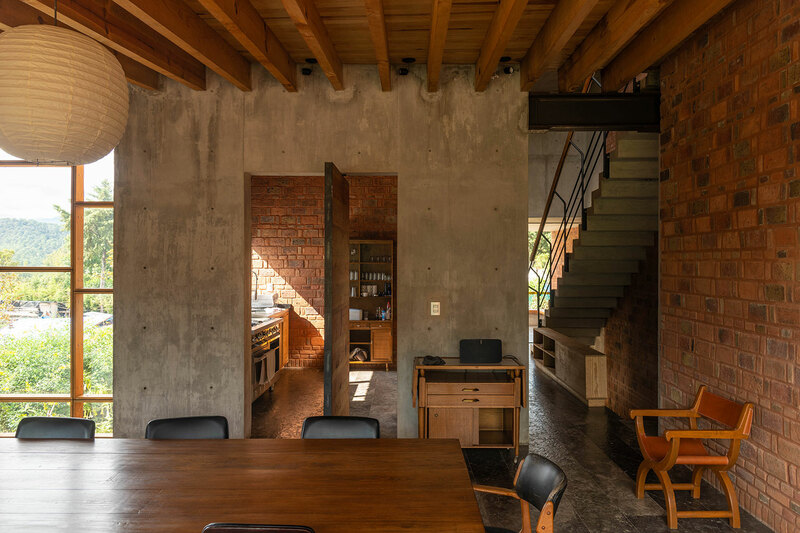 A concrete kitchen and seating area is downstairs, while sleek stairs lead up to a mezzanine sleeping loft with views across the surrounding landscape. 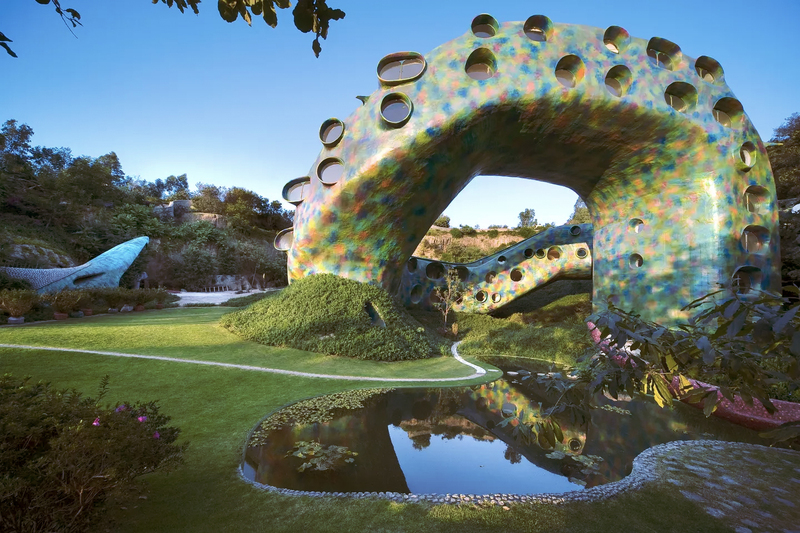 Wacky and whimsical, El Nido de Quetzalcoatl is an inhabitable sculpture designed by Javier Senosiain in 1998. 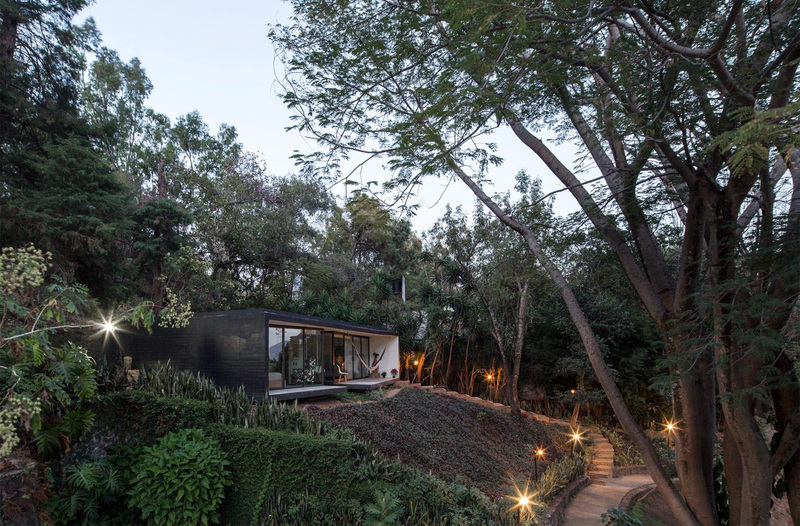 It sits in a 5,000 sqm ravine, the opening of which reminded the artist of a snake’s head, so he added a slithering body which now houses 10 unorthodox apartments. Scale-like porthole windows punctuate the body, drawing light into the small apartments, which have sloping roofs and unusual proportions. 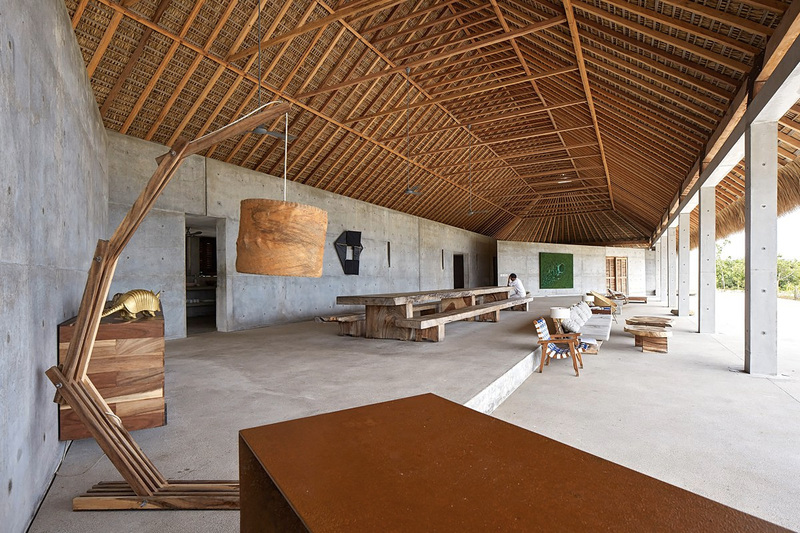 Japanese heavy-weight Tadao Ando crafted Casa Wabi, which merges Mexican and Japanese influences and was originally designed as an art residence. 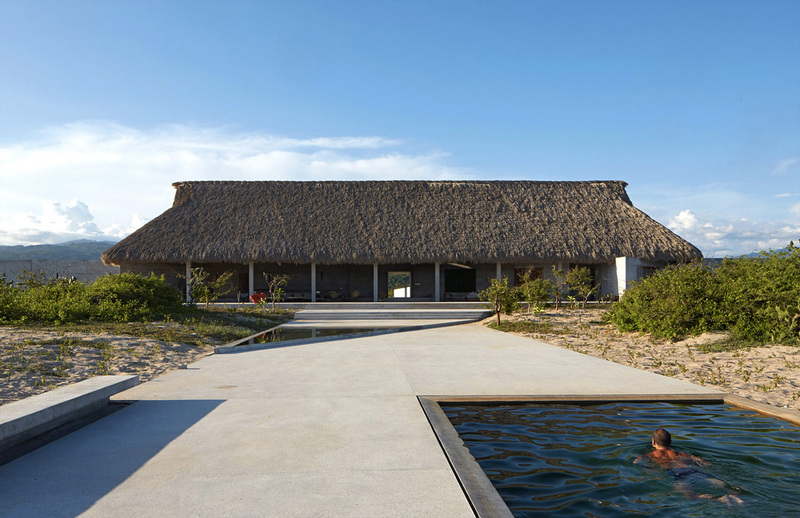 Sited between the Pacific Coast and the Sierra Madres del Sur mountains, 20 miles outside of Puerto Escondido, the main complex comprises concrete living spaces capped by a soaring timber trussed, thatched roof. Six neo-Brutalist pavilions provide sleeping accommodation and are clustered around the main house and swimming pool.